The Kuna have denied me food and accommodation, driven me to islands I did not wish to be on, refused to answer questions and made me leave town. But I have respect for them. They have manipulated a system that has spent hundreds of years attempting to suppress them. They have maintained autonomy. There was a time I was being led down the garden path by the dulcet tones of greedy Nicaraguan land developers. Like a drunk come last call, whispering in the ear of a would be companion: "It's the next Costa Rica...Don't miss this opportunity...You can sell the land in 5 years...you have to do it now or it's gone." Canadian and American businessmen purchase hundreds of acres of ancestral land, usually in impoverished rural areas with beautiful vistas. They carve it into smaller subplots, which they sell to would-be holidaymakers similar to them. There is no chance that a family of poor Nicaraguans may save up and buy this land. As one developer so eloquently put it, "We're looking for good people here." I can logically infer "good" doesn't include local. This nouveau imperialism is masked behind the pretence of lifestyle considerations. Its damage is not dissimilar to forms of contemporary racism; no longer are African Americans strung to trees for the townsfolk to gawk at, rather they are now tethered to policy and systems of subordination present in the infrastructure. The results are equally vicious. And so it goes for Central America: The ships of Columbus are neatly dismantled board by board and reassembled in all manner of structures, from holiday homes to eco-lodges. This is exploitation no matter how you wish to frame it -- of land, resources or labour. You can put it in a box, wrap it up, place a bow on top and call it a gift if you like, but it is still exploitation. 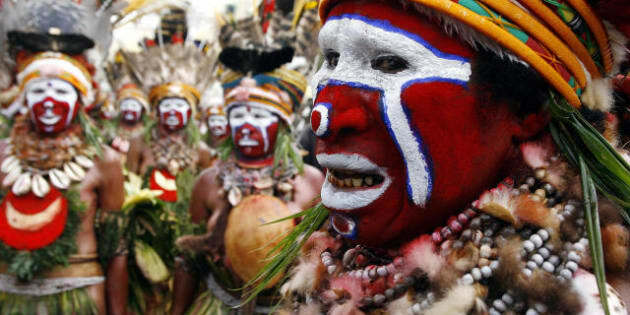 Yet the Kuna, a somewhat culturally autonomus indigenous group located in various parts of Panama and Colombia, have managed to circumvent this imposition thanks to one virtue: No foreigner can own Kuna land. Thus the Kuna control their destiny -- the aesthetic, economic and structural outcome of development is solely determined by them. They have steadfastly maintained what culture they have left through a healthy and necessary suspicion of outsiders. Yet they embrace tourism by creating resorts in their vast archipelago -- resorts which they run, and from which they return the proceeds to the community. No one appears to hold any higher economic position then the next person in any village, each living with extended families in modest huts. It would seem they have found a way to exploit the exploiters, as it were. Having lived in their houses, eaten their food, interviewed them and listened to stories of the 1925 revolution from the town elders, I feel no closer to understanding the Kuna. I have watched them dump boatloads of trash into the sea and stand on a dock with crates of bottles, which the children hurl into the ocean: The sea is a toilet and garbage dump as well as their means of sustenance. They have denied me food and accommodation, driven me to islands I did not wish to be on, refused to answer questions and made me leave town. An annoyance, but one I have respect for. Why should they answer my questions? Their adherence to traditional female dress has made them a type of oddity -- so alien looking to foreigners that a picture is a must have for anyone within lens reach. Again, they have used this to their advantage: If you want a photo, it is a dollar. "If you are going to stare at me in the manner of a zoo animal, I am going to charge you an entrance fee" is apparently the thought process. One I also have a healthy respect for. They are a rigidly traditional group that is highly aware of their surroundings and potential imposition from outside forces. They have managed to manipulate a system that has spent hundreds of years attempting to suppress them, maintaining both cultural and political autonomy. As it was eloquently put by an interview subject: "The super rich own tropical islands, and so do the Kuna".